While perusing the latest wares at your favorite PC hardware retailer, you may have come across the terms single channel, dual channel, or even quad channel applied to memory and wondered what this techy-sounding jargon alludes to. We’ve all been there. The simplicity of the answer may surprise you. 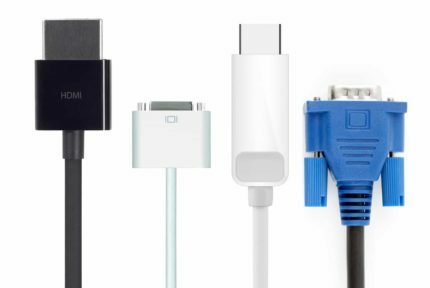 As with a substantial chunk of PC components, manufacturers have taken a certain embellishing, creative license to their marketing as they seek to veil a rather fundamental concept in convoluted labels. Today, we’ll shed a lustrous spotlight on what single, dual, and quad channel refers to, as well as provide a summary of the differences between them. What Are Single Channel, Dual Channel, and Dual Channel RAM? What Do Different Channel Configurations Mean For Performance? Open your PC and scrutinize your RAM DIMM slots. Do you spot one stick of RAM, maybe two, and if you lucky even four? There lies the truth about the elusive channel conundrum. Single channel refers to one stick of RAM, dual channel points to the use of two sticks of RAM, while, you guessed it, a quad channel configuration means four sticks of RAM. 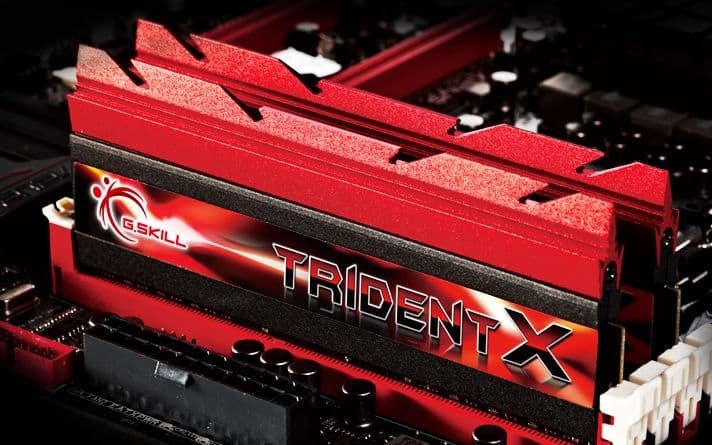 RAM manufacturers are in the business of providing quality hardware for feeding the appetites of hordes of gamer and PC enthusiasts, but more importantly, they are in the business of making money. Adorning RAM with the dual or quad channel label does add a degree of technical flair to a product, a luxurious feel if you will, and it works. A large swathe of less-versed and, less forgivably, veteran builders flock to these types of labels. In theory, more channels offer a bandwidth advantage in data transfers between the CPU and RAM. Bandwidth is the available communication pathways between the two components. The idea is that using two or four memory sticks with a lower individual GB capacity than a single stick but equal total GB amount grants the same amount of RAM with the benefit of additional memory bandwidth. A good analogy to understand how channels work is to imagine RAM as a highway. A single channel configuration has one lane, a dual channel two lanes, and so on. On a single lane, the highway quickly gets congested with vehicles. In a double lane highway setup, the traffic is shared between the two lanes, essentially doubling the capacity of the highway with the ability to funnel two lines of vehicles in parallel. Logic dictates that more lanes are invariably better and we just have to look at gargantuan five-lane highways snaking through US urban conglomerations for proof. City planners have historically opted for more lanes to ease traffic, particularly at peak times, or city center-circumventing ring roads or bypasses with many lanes. RAM works in a very similar fashion: any additional sticks of RAM provide a supplementary, equally powerful, and simultaneously accessible parallel channel for data to flow to and from the CPU. Dual-channel configs should equate to double the available memory bandwidth and quad-channel to four times the bandwidth. At least, that’s what is supposed to happen in theory. The performance of multi-channel configurations varies greatly depending on whether the RAM is employed to power a game, speed up rendering a 3D model, editing a video, completing copy-paste intensive tasks, or running a cluster of processes in a digital audio workstation. Whether dual and quad channel memory generates a tangible performance boost is a matter of opinion and a contentious issue. As a website focused on gaming, so our answer is solely relevant to the subject matter: what impact do multiple channels have on in-game performance? Responses vary from person to person, but if we refer to the arbiter of PC hardware performance, the dependable benchmark, then the matter is pretty unanimous. When it comes to gaming, the benefits of dual and quad channel configurations are marginal: there is a minimal discernible performance boost for the majority of games, including recently released triple-A memory-devouring titles. FPS, memory bandwidth numbers, and process completion rates are virtually identical, bar a few variations, across the board. In certain rare cases, benchmark tests with single and dual setups returned better results than a quad channel RAM arrangement. Overall, CPU and GPU remain the real determining factors in gaming performance, and multi-channel configurations do very little to better the experience. To boot, not all motherboards and CPUs are compatible with quad channel configurations. Purchasing a quad kit for a setup with only dual channel compatibility will read the four sticks as two iterations of a dual channel structure, negating the perceived benefits. So why opt for more than a single channel RAM configuration? Money. Yes, that old chestnut. The technology involved in packing a single stick of RAM with a high GB count costs more at the manufacturing level than selling two sticks of RAM with half the GB count per unit. The savings are passed onto the consumer and, consequently, dual channel kits, as they are called, with an equal amount of RAM are often priced lower than equivalent single kits. The allure of a single stick with a high GB count isn’t negligible (16GB sticks were unheard of but a few years ago), but one of the best reasons to buy dual or quad channel is to secure a bargain and save some cash for pricier components, like the GPU. In the same vein, going dual or quad can also be the ideal way to free up some budget for a higher RAM frequency or better latency timings with the savings from not buying single channel memory. 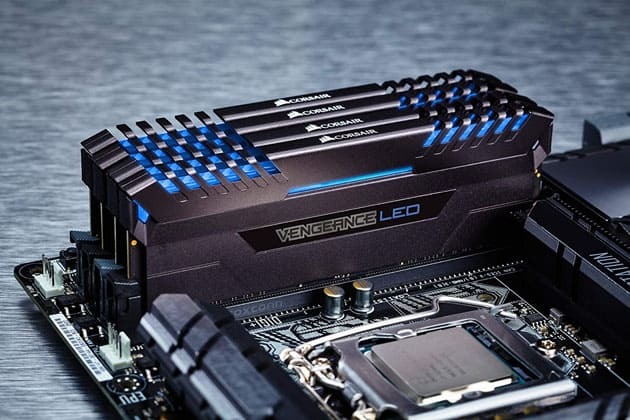 Frequency and CAS are by far the biggest adjudicators of RAM performance, and to set your sights on these as the deciding factors of which RAM to pick makes sense. Should you grab a dual or quad channel kit in the process, all the better. 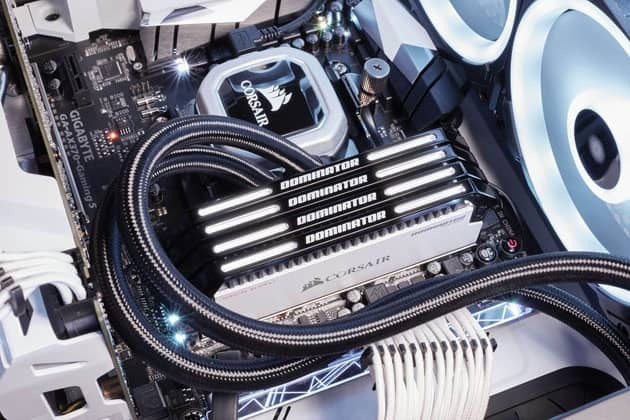 If you in the business of building PCs that don’t only run like a well-oiled machine, but look the part as well, then the aesthetic magnetism of having four DIMM slots decked out with four sticks of RAM with a jazzed up heat spreader is undeniable. The quad channel configuration might not improve performance all that much, but sure sets a build apart and oozes style. And, let’s be honest from RGB GPUs to water cooling with LED light strips, to a growing obsession with impeccable cable management, PC building is as much an exercise in style as building a powerful rig. Another reason dual and especially quad channel RAM isn’t a foolish purchase is it provides a degree of future proofing. Quad channel, in particular, is a relatively recent advancement in RAM technology and as increasing numbers of game developers tune their games to make use of the benefits on offer, then the advantageous are sure to increase incrementally with time. To summarize, single channel, dual channel, and quad channel RAM refers to the number of sticks of RAM a PC has. Higher channel counts don’t necessarily equate to a perceptible performance gain when gaming but there’s no harm in opting for quad channel configurations if budget constraints allow it and, if anything, as a future-proofing precautionary measure.